Country chapel. © Bruce Stambaugh 2014. My wife and I drove for four hours in a steady to light rain from our home in Ohio on our way to Virginia’s Shenandoah’s Valley. We never saw the sun. 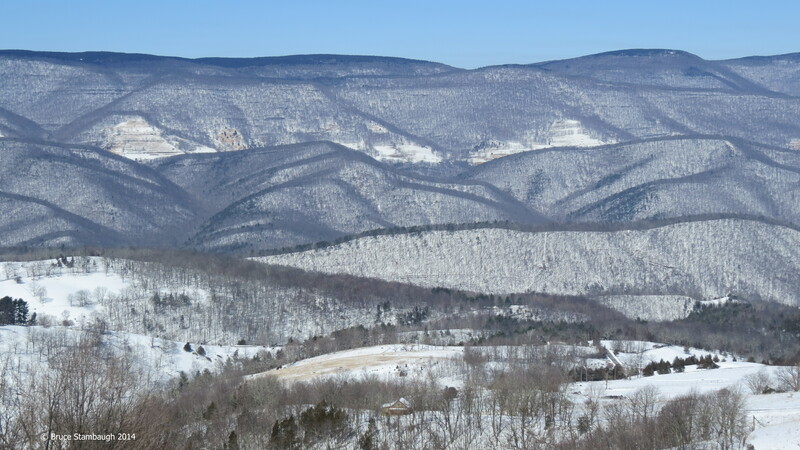 We passed through Judy Gap, West Virginia, a low spot in the razorback ridge of the nearly vertical Tuscarora quartzite outcropping, and started up yet another mountain pass. As we rounded a curve, this country chapel stood, basking in the bright sunshine that had broken through the heavy cloud cover. 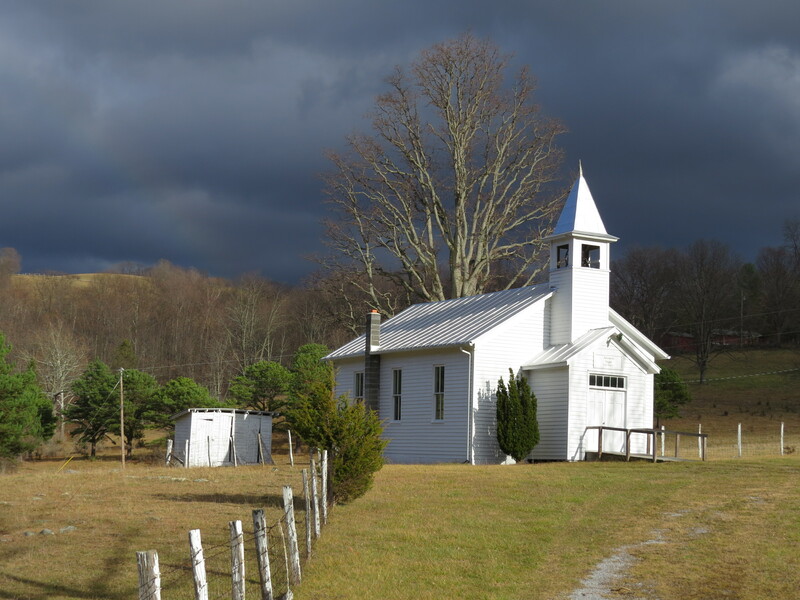 The contrast between the little church’s illuminated white paint, silver roof, and the dark clouds in the background made this week’s Photo of the Week selection easy. “Country chapel” is it.